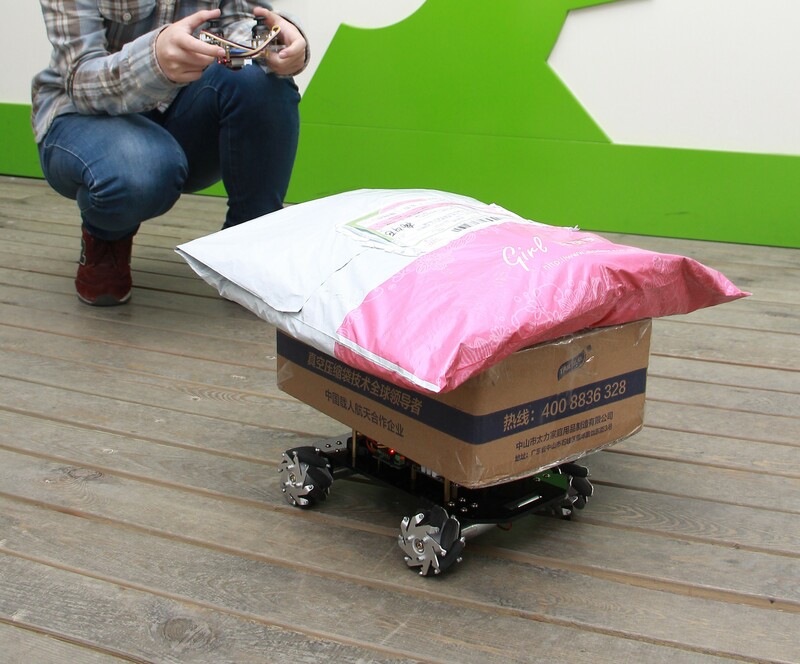 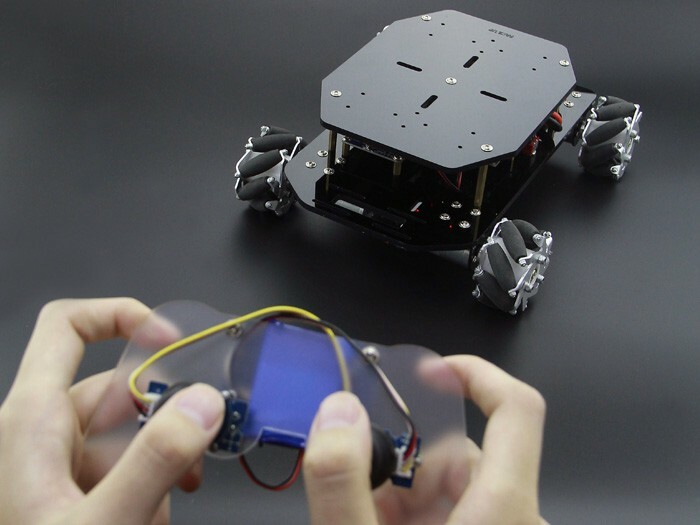 The Mecanum wheel is one design for a wheel which can move a vehicle in any direction. 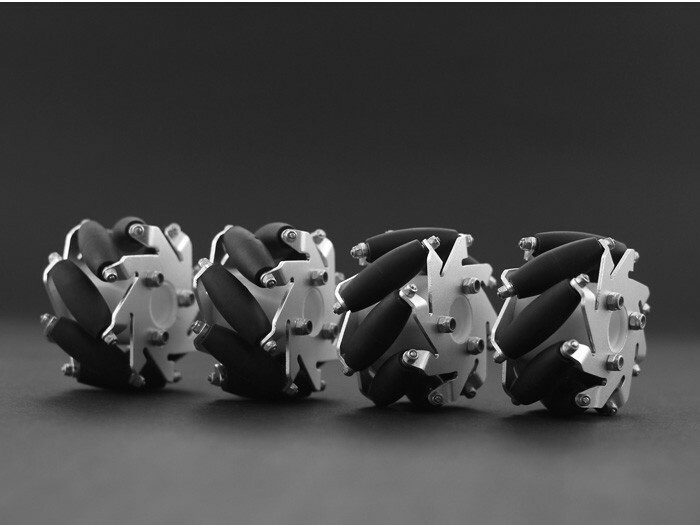 It is a conventional wheel with a series of rollers attached to its circumference. 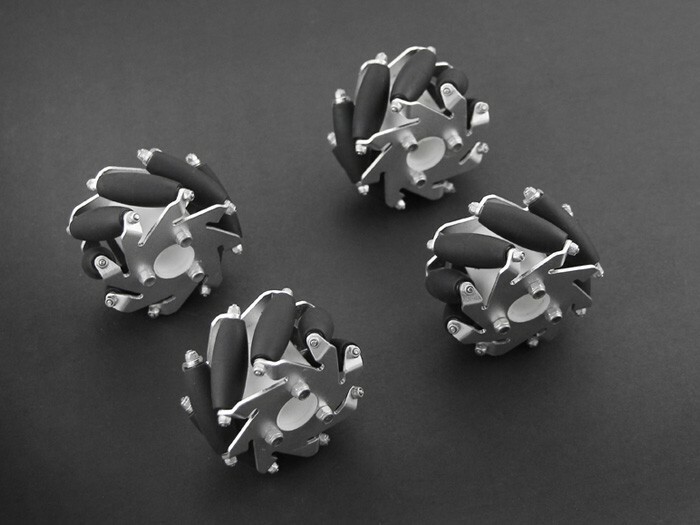 These rollers each have an axis of rotation at 45° to the plane of the wheel and at 45° to a line through the center of the roller parallel to the axis of rotation of the wheel. 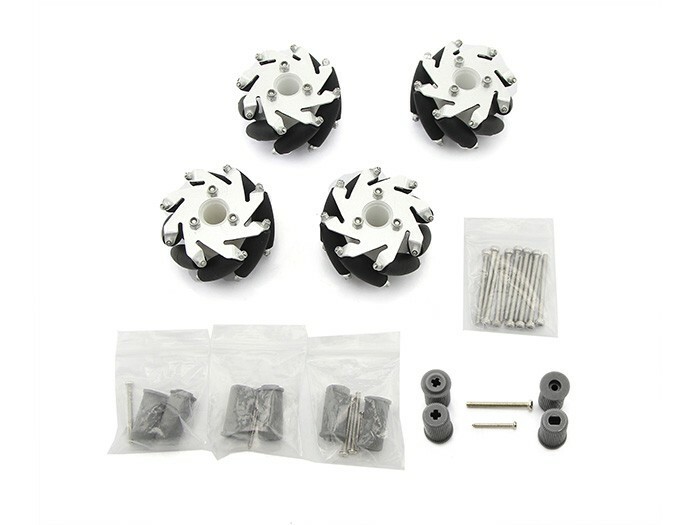 For more details about this kit, please refer to wiki Features: Omnidirectional transfer ability Specification: Diameter: 60mm Width: 31mm Number of Rollers: 8 Number of Plates:2 Body material: Aluminum alloy Roller material: PP+PE Spacer material: Nylon Length of roller:30mm Net weight:86g*4 Load capacity:10Kg Part List: 2×Left-handed Mecanum Wheel 2×right-handed Mecanum Wheel 4×Coupling for Lego Square shaft 4×Coupling for Lego Cross shaft 12×Hexagon Socket Head Cap Screw M3*40mm For any technical support or suggestion, please kindly go to our forum.